Are you a frank, compassionate and approachable person who likes to help others? If so, then urology may just be the right medical specialty for you. Committed to a lifetime occupation of resolving troubling, embarrassing and depressing conditions of the genitourinary tract, urologists have a wonderful opportunity and privilege of making people’s lives better. They are skilled in tackling issues that most people are shy to speak about, helping patients open up and talk about the most awkward conditions and having the ability to restore a sense of hope and contentment in their lives. As a urologist, you provide diagnosis, treatment and follow-up care to people with urinary tract disorders, including kidney stones, pelvic pain, urinary incontinence, male sexual dysfunction, urologic cancers, genitourinary tract injuries, Peyronie’s disease, priapism, enlarged prostate and male infertility. You also do urinary tract reconstruction and perform procedures to treat disorders of the urethra, bladder, adrenal glands, ureters and kidneys. While the kind of treatment varies from one patient to another, a typical treatment may include surgery or medication, or both. Curing people with various medical problems is something I always wanted to do from a very young age. I developed a passion for medicine and yearned for a future where I would be there to help people. But it is the striking prevalence of urological disorders I often encountered, together with my medical school mentors, that sparked my interest in urology. Urology also struck me as the area of medicine where I would thrive and would be needed most — caring for people, developing lasting relationships with patients and making a tangible difference in their lives. I was born in Egypt but moved with my family to the United States when I was just 3 years old. In the U.S. my family moved around quite a bit and we lived in the Midwest for a period of time before eventually settling in Florida. I went to King High School in the Tampa Bay area, then attended the University of Florida for my undergraduate degree in Microbiology (with a minor in Chemistry). I graduated with honors and achieved a National Merit Scholar, enabling me to go to the University of South Carolina in 2007 for medical school. After getting my medical degree, I joined the Emory University Hospital, Atlanta, for my urology residency. Going through medical school, I started to explore areas where I could specialize. I wanted to pursue a surgical subspecialty that could help me make the most impact on people’s lives. I also wanted a specialty that would enable me to be directly involved with the patients, establishing lasting relationships with them and seeing their lives improve. And because I was fascinated by the wide range of techniques and procedures in urology and its exciting blend of the best of both worlds of surgery and medicine, I chose urology. As a urologist, I perform both routine and specialized procedures to help patients with urological conditions. I administer antibiotics to patients with recurrent urinary tract infections, hormone therapy for prostate cancer, chemotherapy for urological cancers, and phosphodiesterase-5 (PDE5) inhibitors such as tadalafil or Cialis for men with erectile dysfunction. I also use various surgical techniques like minimally invasive surgery, laparoscopic surgery, robotic surgery, or laser therapy for kidney stones, BPH, cancer, among others. I am frequently involved in surgery to repair the urinary tract after traumatic injury, remove a tumor, remove or break up kidney stones, transplant or remove a kidney, relieve incontinence (like the sling procedure) and relieve urethral strictures caused by scar tissue (a procedure called urethral dilation). With my skill and experience in minimally invasive surgery, using both laparoscopic techniques and the da Vinci robotic system, I am often called upon to perform complex surgical procedures to treat various genitourinary disorders. Single incision da Vinci robotic surgery provides enhanced 3D, high-definition cameras and complete control robotic arms, ensuring high-precision surgery for removal of a cancerous prostate and treatment of conditions such as prostatitis, enlarged prostate, kidney obstructions, bladder disease and urinary incontinence whenever prescription drugs and other medical therapies fail to help. Like most other medical specialties, urology is a highly demanding field that requires extreme commitment and dedication. Right from intense schooling, continuous medical training, chaotic work schedule, to the hopelessness felt when patients are diagnosed with advanced disease, urology comes with its fair share of frustrations and stresses. But working through these challenges and being able to consistently deliver timely, safe and effective solutions to those in severe need is remarkably satisfying. Besides, practicing urology is never dull. From the amazing technologies used and the different kinds of people you see each day to the various issues you resolve daily, you are sure to encounter something fun and exciting. You also have the opportunity to interact with your patients, win their trust, and establish enduring relationships. For me, to be able help people overcome devastating and awkward conditions and see their lives improve is what I really find gratifying in urology. I joined Advanced Urology Institute soon after my urology residency and ten years later I still love this place. It’s wonderful with the people you work with at AUI and the systems, technologies and equipment available to use. And with all our administrative work managed through a centralized system, we have all the time to concentrate on delivering the very best care to our patients. You are not just surrounded by knowledgeable, experienced and certified professionals, you are encouraged to collaborate with them through AUI’s multidisciplinary patient-centered approach to care. This allows you to develop your skills and proficiency, grow quickly in your area of specialization and achieve your career dreams. I couldn’t have found a better place to practice urology than AUI. Looking for more information on how to become a urologist? 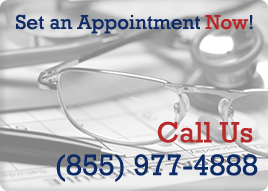 Or are you or your loved one in need of urological services? Get more information on urologists and the diagnosis, treatment and care for urological disorders by visiting the “Advanced Urology Institute” site.